Hall of Famer Willie McCovey took a break from his hospital-based rehab to attend the San Francisco Giants' World Series victory parade Friday from behind the scenes, thanking all the fans and well-wishers for the support and love through his recent health ordeal. 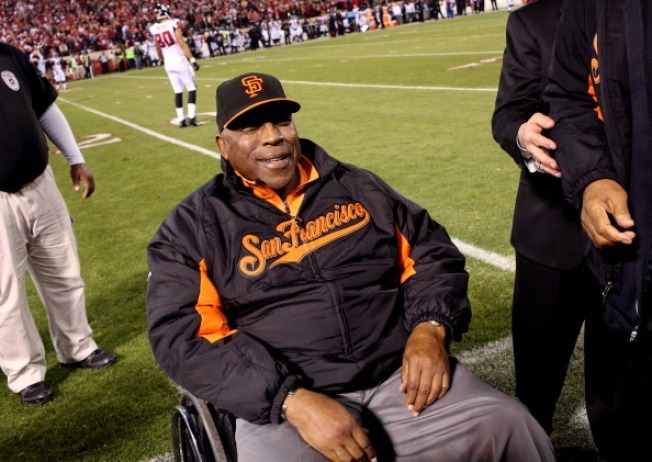 McCovey said he continues to recover from an infection that hospitalized him in September for nearly a month, and that the Giants "pulled me through, and I've come a long way.'' He attended one game at AT&T Park during both the NL Championship Series and World Series. The 76-year-old McCovey said, "I feel great,'' while waiting for the team at the end of the parade route inside the Civic Center.